Have you cropped this already? If not I'd like to see a tighter crop around the orange leaves. Only cropped a little to improve composition. I wanted to retain the greener leaves around the coloured to give contrast and illustrate the early change. Green and gold are complimentary colours and generally work well together in an image. 100% agree. That's why I was thinking something like this. 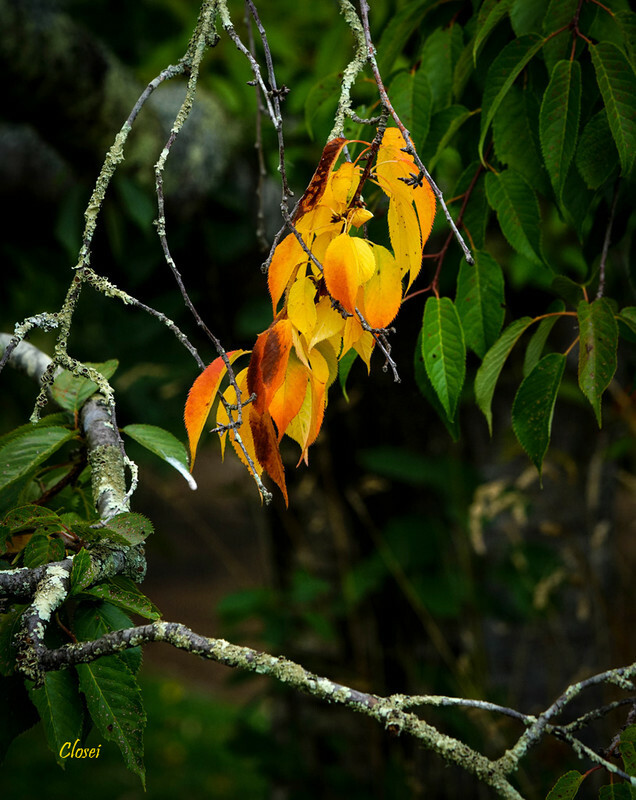 Retain the contrasting colours but remove the dead space and slightly out of focus branch in the bottom. Thanks for your thoughts on it Toddy, it's always interesting to get another perspective from some-one else. I'm a 'story telling' / show and tell type of photographer and I'm not always trying to get the prettiest picture but trying to show in an image what I was thinking at the time. The negative space and dead branch going into focus is intended to lead the eye to the subject and highlight the contrast between the lush growth, dying leaves and dried up wood of the tree. Whether you accept a changing climate or not, there is enough evidence out there to make us think the seasons are changing as a result of it. (Titled Early Autumn). I personally prefer the original with the branch leading me into the image. But its all about perspective, we all see things differently.